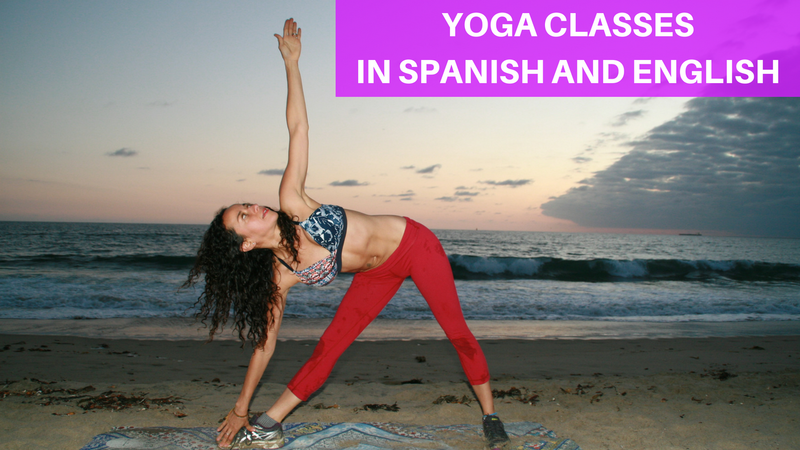 Yoga Classes in Spanish and English uses traditional Ashtanga yoga combined with perfect postures, breathing, and movements. Core Fit Yoga Classes makes emphasis on core for a healthy back, for injury prevention, and wellness. Yoga Classes in Spanish and English to spread the world to the Spanish speaking population in California! Each session starts with Sun Salutation A to warm up and wake up the body. Sun Salutation B releases any tightness in the whole body and corrects muscles imbalances. The class will continue with standing balance poses to improve alertness, mindfulness, and to make the whole body stronger. Inversion poses improves concentration. Sitting poses enhance posture and flexibility. Lying poses heal your body-mind connection, rejuvenate your spirit, open your heart to love and be more kind. Are you looking for inner peace? Do you want to be more compassionate and loving? Do you want to be a better person? Core fit yoga can help you attain all this and much more! Private Yoga classes are available by appointment only-please contact Alexandra@corefityoga.com for details. Doctor Alexandra Chaux has developed a unique holistic approach. She educates her clients to listen to their bodies and treat their body with love. She teaches them to move as far as the body is happy with during each yoga practice. Doctor Alexandra makes emphasis on doing yoga daily for injury prevention, a healthy spine, and for wellness. She believes the body needs a constant feed back with the magic touch or manual adjustments to improve postural awareness. You will receive constant manual cues to correct any misalignment to reach your highest potential during your yoga practice.